One of the most important tasks in development of a software solution is gathering and defining the business requirements. In this stage, the requirements of the clients are gathered. This is done on the basis of information provided by the client in the form of documents, existing systems & process specs, on-site analysis interviews with end-users, market research and competitor analysis. High level requirement gathering and analysis keeping business application goal in mind. Scope & vision document and feature list created in requirement definition phase comes instrumental here as we carry out the detailed analysis of the project. So the scope document and feature list are input to this phase based on which the analysis is carried out. 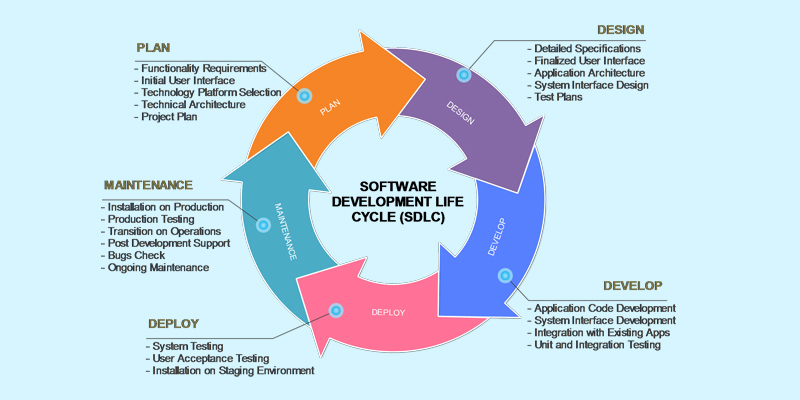 Input to this phase is Software Requirement Specification, Business Rules, flow diagrams and scope agreed upon in the Requirement Definition stage. This stage involves the designing of the application both from High and Low level point of view and lay out the architecture that satisfies the current business needs and scalable enough to support anticipated future requirements. Input to this phase is all design documents created in Design phase (both high & low level designs) and actual coding work is started. All business logic / rules and algorithms are implemented at this phase and we make sure that the end application satisfies the client’s need and that the code is well structured for future enhancements and maintainability purpose. Input to this phase is Test plan, test cases and client acceptance criteria in the deployed environment. Quality assurance is an integral part of any software development. Development / Implementation signoff by client. Transition of application to the maintenance phase.